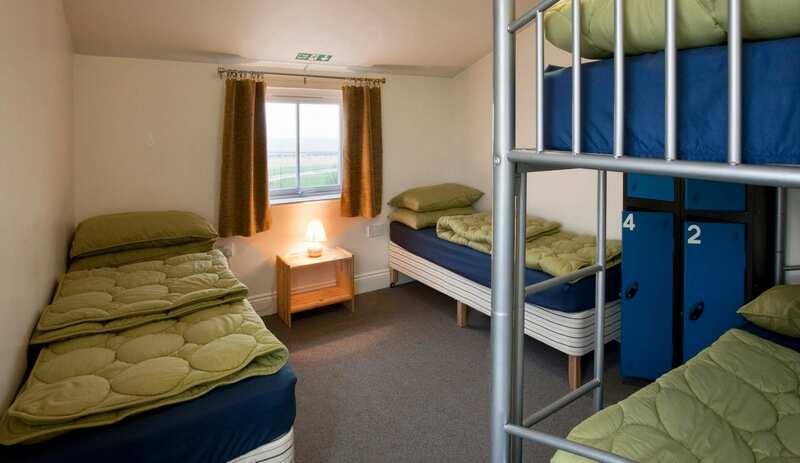 Springhill's Lookout & Wigwams are ideal for groups, families or couples looking for great value comfortable accommodation which can be booked as a whole or on a per bed/night basis. Superbly located on the Northumberland heritage coastline and AONB coastal path with stunning views towards the Farne Islands and Cheviot Hills, only 1 mile from Seahouses and 3 miles from Bamburgh. 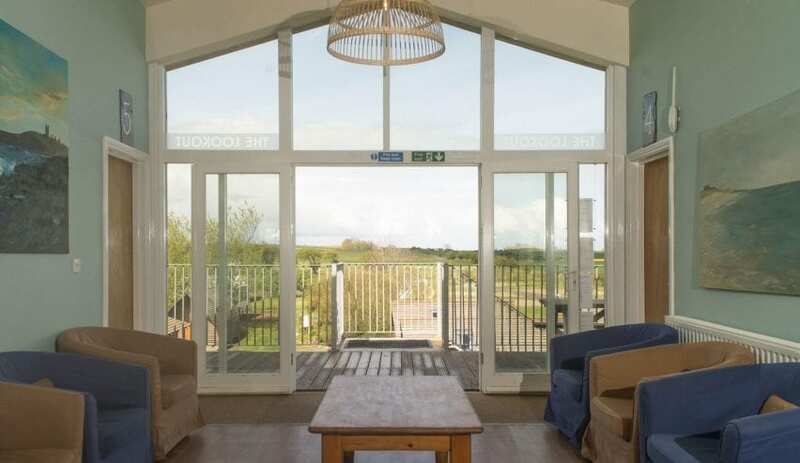 The Lookout has 8 rooms of 4 beds with en suite shower rooms, fully equipped kitchen, dining and sitting area with TV/DVD, free WiFi, BBQ and outdoor seating. The five Wigwams sleep 5 on platform beds with mattresses, electric heating, lights, sockets, fridge, kettle and a separate loo block. The Wigwams have the use of a fully equipped kitchen and dining area with WiFi, TV/DVD and an outdoor seating area with BBQ's and fire pits. Cycle store, drying room and laundry on-site. Pets welcome. This accommodation is featured on our map of Northumberland and here is its own website. The Lookout 32: 8x4. Wigwams 40: 5x8. Wigwam Ensuite 8: 2x4. All year. Arrive 3-6pm, departure by 10am. Cleaning noon-4pm. The Lookout £480 sole use per night. 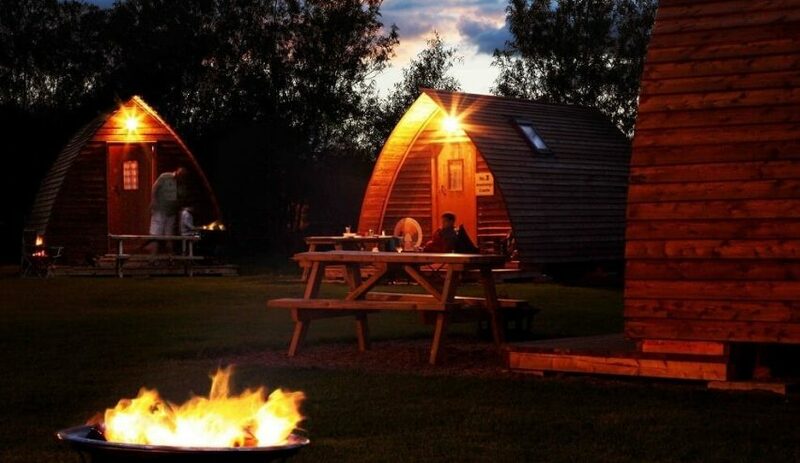 Wigwams £21.50 pppn. 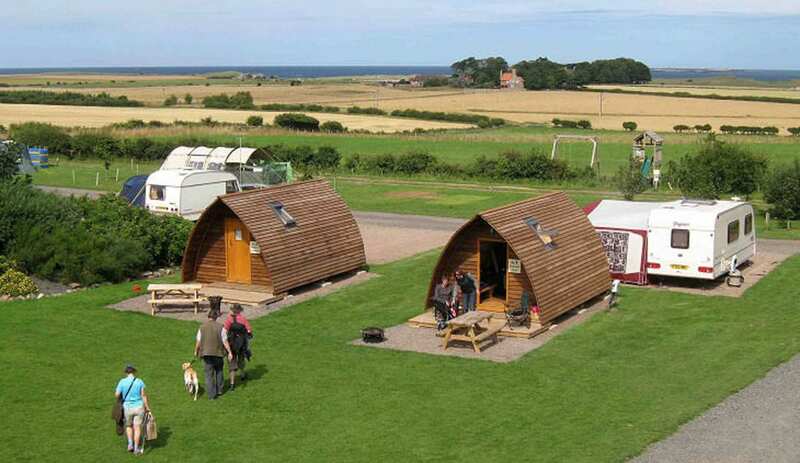 En-suite Wigwams £27.50 pppn. 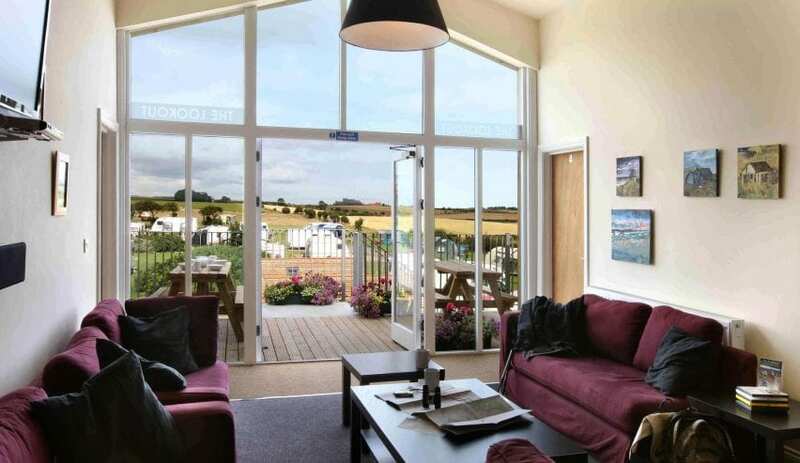 Springhill Farm is 0.75miles from the coast road, which runs between Seahouses 1mile and Bamburgh 3.5miles. Alnwick is 15 miles and Berwick 25 miles. Closest railway stop with easy bus transfers is Berwick upon Tweed. Buses run daily to Seahouses with the nearest bus stop being in North Sunderland which is the top end of Seahouses half a mile from Springhill. 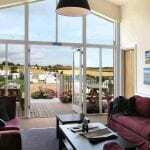 This accommodation allows dogs by arrangement, is by the sea, is available only to groups, has a pub within walking distance and is on the Land's End to John O' Groats Cycle Route and the Luxury Barn page. Climb through the walls of these ancient castles, and discover Harry Potter inspired magic! 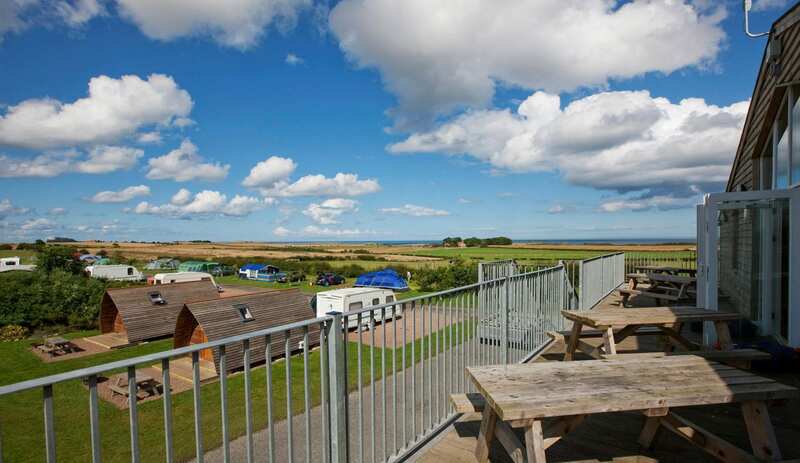 Springhill Bunkhouse is home to the Northumberland heritage coastline and AONB coastal path with stunning views towards the Farne Islands and Cheviot Hills. This superb location gives you the perfect opportunity to explore some of England’s Best known Castles! Wake up each morning to mystical views of Bamburgh Castle, recently voted one of ‘Britain’s Favourite Views’. Alnwick Castle, the magnificent home of the Duke of Northumberland. Inside the Castle there is a Downton Abbey exhibition where you can step behind the scenes of filming. The Castle prides itself on the centuries of history and even Harry Potter inspired magic! Other castles in the area include Chillingham, Eglingham, Etal, Harbottle, Lindisfarne, Norham and Warkworth. 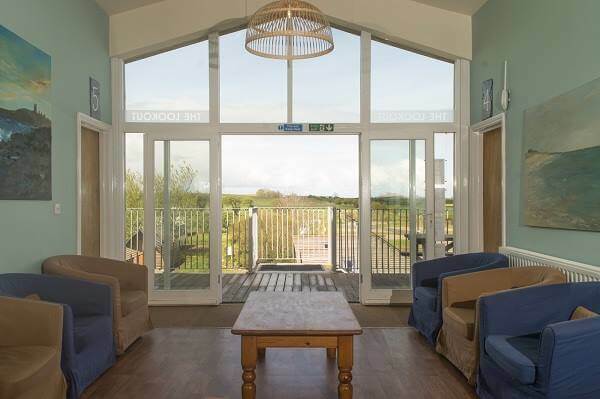 The Lookout bunkhouse, Seahouses with views over the coast and countryside. With 8 en-suite rooms of four beds, the Lookout bunkhouse at Seahouses is ideal for groups or individuals. 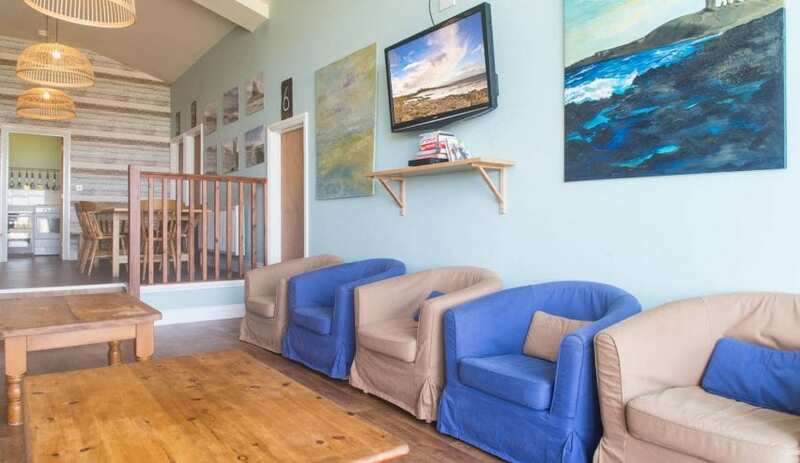 Superbly located on the Northumberland heritage coastline and AONB coastal path with stunning views towards the Farne Islands and Cheviot Hills, it is only 1 mile from the seaside town attractions of Seahouses and 3 miles from historic Bamburgh. It is airy, cool and kept to a very high standard. Just check out the pictures on their website and you’ll be sorely tempted to book a stay. The Lookout bunkhouse can welcome up to 32 guests so is ideal for a group who want to explore the coast and countryside of Northumberland. 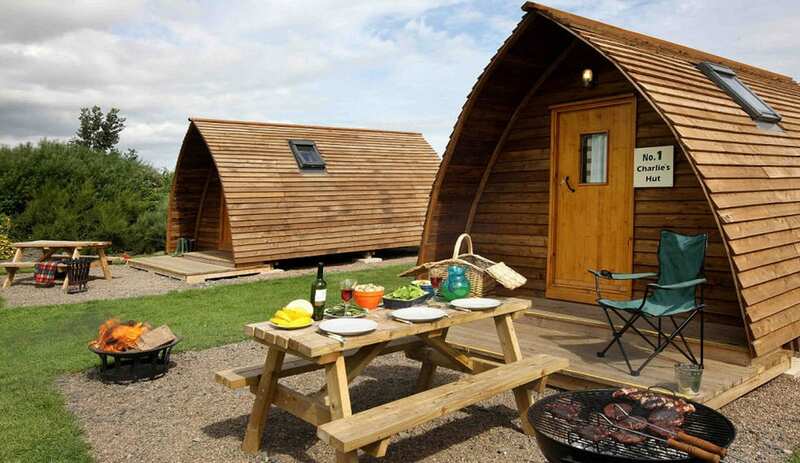 Or what about the cool ‘Wigwams’ for glamping? All the modern amentities with a camping vibe! Look at their website for further information. 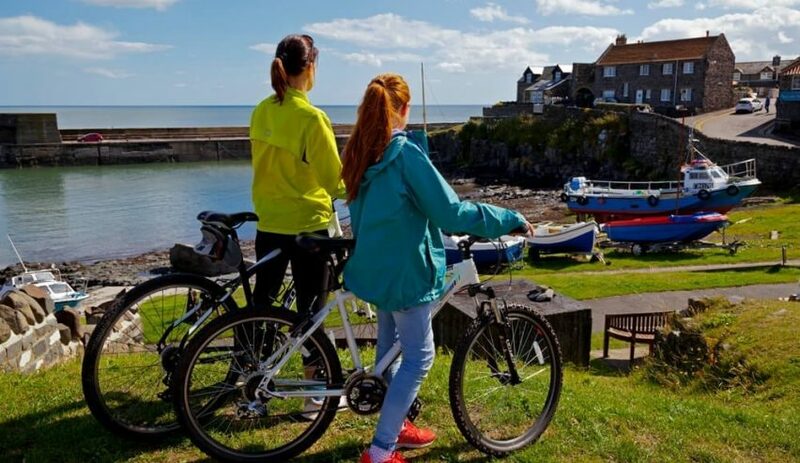 Anyone cycling this glorious route through Northumbrian fishing villages and past ancient castles, will find Springhill bunkhouse and campsite an ideal resource for accommodation. The Coast and Castle route between Newcastle & Edinburgh, follows 100 miles of shoreline through fishing villages, past vast sandy beaches and along a coastline dotted with the ancient castles of Lindisfarne, Warkworth, Bamburgh and Dunstanburgh. 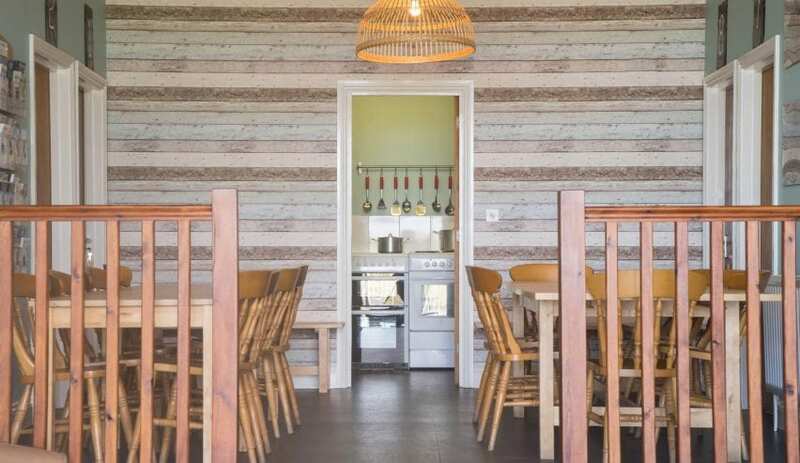 This well equipped bunkhouse, close to the coast at Seahouses, has a lockable bike store and a choice of accommodation in the lofty smart bunkhouse, wigwams or camping. There is a Cafe on site and self catering facilities including BBQ and fire pits. Drying room and laundry also available. You can cycle this route one-way as there are excellent trains available along the route which are regular, fast and bike friendly.